In Annie Baker's The Antipodes, a group of people sit around a table telling, cataloging, and theorizing stories. Their purpose is never clear: are they brainstorming ideas for a TV show? A film? A mythology? This is a world where ghostly fables co-exist with mundane discussions of snacks and sexual exploits, where the vague instruction to tell stories about "something monstrous" though "it might not be a literal monster" becomes maddeningly impossible. 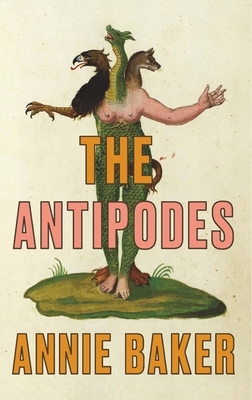 Part satire, part sacred rite, The Antipodes asks what value stories have for a world in crisis. Annie Baker's plays include The Flick (Pulitzer Prize), John, The Aliens (Obie Award), Circle Mirror Transformation (Obie Award), and an adaptation of Anton Chekhov's Uncle Vanya. Her plays have been produced at more than two hundred theaters throughout the U.S. and in more than a dozen countries. She is the recipient of a MacArthur Fellowship, Guggenheim Fellowship, Steinberg Playwright Award, American Academy of Arts and Letters Award, and the Cullman Fellowship at the New York Public Library.